Commercial Automobile versus Business Automobile Coverage? The difference between personal automobiles and business automobiles is the name under which it is titled. If you use your personal automobile in business, the business should have hired and non-owned automobile coverage to cover the business’ liability of your driving. If the business owns the car, you should either have a personal automobile policy or a “drive other cars” endorsement on the business policy to cover your liability for driving a company car. The car owner and driver are often both sued. So, what’s the difference between Commercial Automobile and Business Automobile? 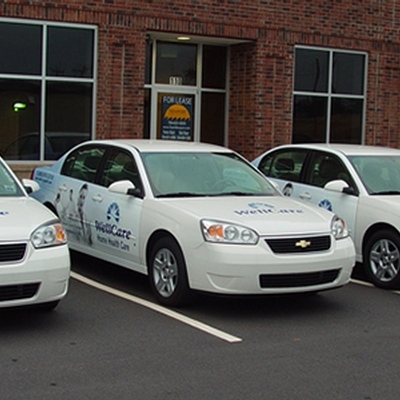 Commercial automobile coverage includes several policy forms. Garage, business auto, and motor carrier are each forms of commercial auto. Business automobiles are cars, pick-ups, small trucks, large trucks, dump trucks, even ambulances can be on the fleet list. Business automobile is for standard usage owned vehicles for businesses. Garage forms are used for public repair shops, dealerships, attended parking lots, any other situation where the general public might drive the business vehicle or you have care, custody or control over other people’s vehicles. The risk is different from business auto because either the cars or drivers do not belong to the same organization. Garage liability also covers towing other vehicles. The garage form, simply stated, anticipates the owner of the vehicle and the operator will be different people on a regular basis, as part of the business. Motor carrier forms anticipate different ownership of either the power unit or the trailer it hauls. The nature of long haul trucking is independent contractors “owner operators” hook to other business’ trailers and move them from one spot to another. Motor carrier coverage is designed to cover the nuances of the independent operator system. Long-haul trucking has different exposures than the average salesman’s vehicle, and needs different coverage. Of course, these commercial forms can confuse. Please call Tracy-Driscoll today at (860) 589-3434 to assure you are covered properly. We appreciate your business.